Prophets in Our Midst | Welcome to Prints on Purpose! Well, I’m not a prophet, but this sentence speaks volumes to me. 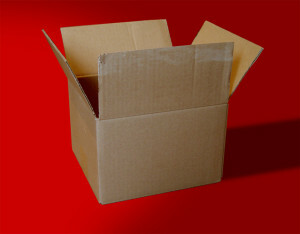 How often do we consign our family members or friends to the boxes we’ve placed them in over the years? We assume that because we have known each other all our lives, we really know each other. This limited view was brought home to me a number of years ago, with a woman in my small faith community, whom I’d only known in the context of a ‘friend’ relationship. I knew she was a scientist, and sometimes she would mention human relations problems she occasionally encountered in her lab. Those questions, along with sharing child/spouse/friend stories, were the focus of our conversations. Quite by accident, I learned that she has a global reputation in the field of renal research. She is a real celebrity in the scientific community. To me, she was a friend with ordinary, day-to-day challenges. How often have I been oblivious to the gifts of the people in my life? It’s so much easier to categorize — “He’s the smart one.” “She’s the artistic one.” “He’s the troublemaker.” I can’t count the number of times I’ve heard variations on this theme, and spoken them, too. Every one of us is so much more than that! This entry was posted in General on July 21, 2015 by Donna Mills.